Come share a lovely experience in the world of Claude Monet at Giverny. Discover the impressionist by visiting Monet’s home and gardens at Giverny in Normandy. Departure is from our agency in the center of Paris, near the Louvre, at 8:15a.m. or 1:45 p.m., according to your choice of departure time. During your excursion taken at your own pace, a hostess will be present to give you all of the information you need and to answer your questions. During the trip aboard our air conditioned bus, you can enjoy the beautiful green landscape of the French countryside. After about one and a half hours on route, you will arrive at the Normand village of Giverny. Your hostess will lead you to the home of Claude Monet, where you can begin you visit. You will see the daily life of this master of impressionism in his private apartment, the “blue salon”, which was his reading room, and the dining room, which houses the largest collection of Japanese stamps in the world. He lived here for 43 years, and it was his favorite place to paint. You can then continue your excursion into the gardens of Giverny and truly dive into the world of impressionism. A real gardener, Claude Monet designed his garden as a veritable work of art and made it into a source of essential inspiration. 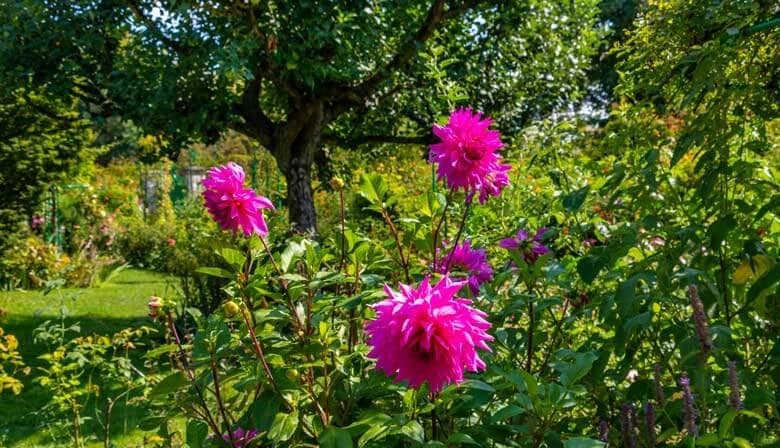 To see the gardens in magnificent flower, Giverny is only open from April to October. During your walk, you will cross the Clos Normand, where you will find numerous flowerbeds whose varying heights give volume to the locale. You also cross the water garden, with its pond of water lilies, which inspired the famous Waterlilies of Monet and the celebrated Japanese bridge, covered with wisteria. At the end of your escapade, you return to board our bus to head back to our agency in Paris. Easy to get there with the bus. It was a lovely trip to see what I would describe as the most floral, serene, cozy half day trip to monet's home. The bus ride was very comfortable. We went late September and it was not overly crowded. Highly recommended for a nice get away from Paris. It might be worth it to do a more extended tour of the village as well. This was a good tour. Have recommended others to take this tour. Way too rushed. We spent the entire time at Giverny (which wasn't nearly enough) stressing about missing the bus. It's nearly impossible to see the town, house, and garden in such a short period of time. Unless they extend the time of the actual visit to Giverny you would be much better off getting a driver to take you. The Monet house and gardens tour was a real highlight of our trip! It was absolutely gorgeous. Paris City Vision was very well-organized and well-priced. We did the half day self-guided tour and had plenty of time to see the house, walk the grounds, shop in the gift shop and even stop for a coffee and croissant at a little local cafe before returning to the bus. The drive was nice too. Saw some pretty countryside from a comfortable air-conditioned coach. Highly recommend this tour!